I call this the “Lemonade Scripture.” It says to me that God will take the lemons handed you and make lemonade from them. Whatever Satan means for harm in your life, God will find a way to turn it to good. God will not allow the devil just to rain bad things into your life. He is going to turn them around for you. Your part is to give the Lord that kind of authority over your life. When the devil hands you lemons, you just call up God and say, “Hey, there is a delivery here for you.” It is not your job to create the miracle or fight with the devil. You just know that God is Lord and tell the devil to get back under your feet where he belongs. In your prayers, tell God what you think you need or what you desire and then you can thank Him and let it go. Go enjoy a tall glass of iced lemonade, on Him. 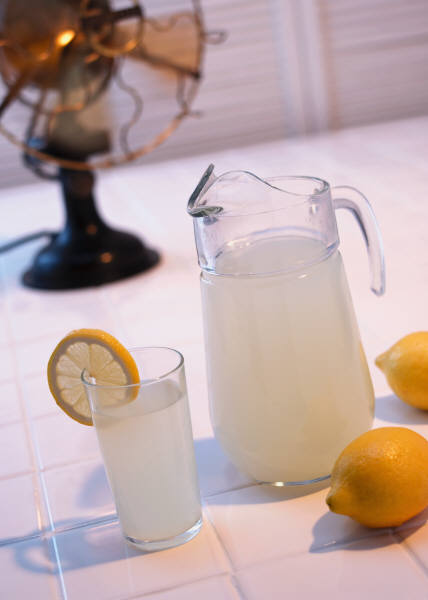 I call this the lemonade scripture because what it means to you is that God will take the lemons that life hands you and he will add a little sugar to them and make for you lemonade. I had a rough journey coming to this understanding and I would like to tell you that story today. First, though, I want you to know that this scripture is talking about you. Do not disqualify yourself. God Himself has called you to His purpose. He is constantly calling you to Himself. You are His beloved. Years ago, in my High School days and my freshman year of college, I went through a rough patch. Although all of my young life I had believed in God and His son Jesus there came a point in my confusion that I concluded that there could not exist a benevolent God given the pain and turmoil I was experiencing. Then I had an even greater epiphany. I decided that there was, in fact, a God because, I reasoned, it was He who was causing these problems in my life. I ran across some really bad teaching in those years. People were actually teaching from the pulpit that God was putting hurt and anguish on people in order to make them strong. Of course that is exactly what I did not need to hear because it only solidified my belief that God was the author of my pain. There was a part of me that could not completely accept this position though so there raged within me a battle. Who is this God of ours? Is he a loving God or is He a God who strengthens us through pain? Over the years I began to come to know this God and discovered that He is in fact Love itself. What I didn’t realize though is that in my heart of hearts there was still lodged a fear of what God would do to me if I ever drew really close to Him. I had a pretty good relationship with Jesus but to my horror I discovered that there was a definite mistrust in my heart towards God the Father. Insane! That realization was one of the most humbling and core shaking moments of my life but it opened the blinds on the window of my heart so that God’s light could shine and reveal truth to my heart. I still hear people accuse God of putting bad stuff on them for various purposes and I even still hear ministers preach that message which grieves my spirit immensely. Our God is love. If there is only one message that we share it must be that. He doesn’t have to put bad things on people, Satan does plenty of that. No, God can use love. There is nothing that trouble can teach you that love cannot much better reveal to you. Jesus came to show us the way and that way was not the way of trouble. God is not in the lemon business; He is in the lemonade business. He will take all of the junk the devil slings at you and He will turn it for your good. He is the one that will take the thunder cloud and turn it inside out so that the silver lining is all you see. He will take every missile of the devil which is meant to hurt you and turn it into a blessing. That is His way. Our Father causes everything to work out for our good because He loves us. As for me, I so despised this scripture for many years and now it is a favorite. Jesus set me free from the lie. I wonder if that is why I love lemonade so much.